After months of anticipation and double-checking dates, we’ve finally made it. Enter Songkran season, complete with neat water gun deals, the return of hawaiian tees and — most importantly — the long-awaited holidays. With only three official work-days sandwiched between the long weekend and Songkran break, the fact that we even have to show up to work at all this week seems a bit much, but with four full days of fun and freedom to look forward to, there isn’t really any cause for complain. With the arrival of Songkran naturally comes the Songkran-themed events and water parties — and this year, regulars at S2O or the like have even more to look forward to as ICONSIAM joins in the fray with ‘The Iconic Songkran Festival 2019’. While you get ready for what will most likely be a sleepless and stirring weekend, take it easy this week with a couple of laid-back events in town so you can really have a blast come Friday night. Scroll to see your plans! 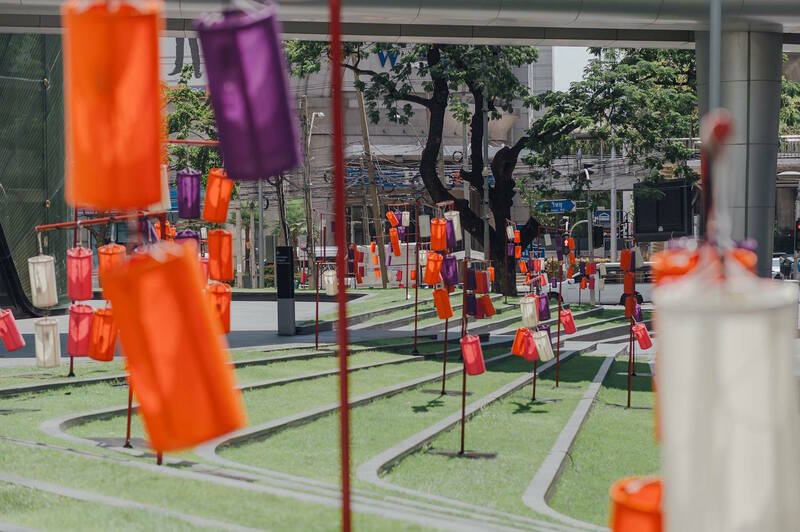 NEWS & EVENTS — Central Embassy and Central Chidlom team up to bring on the traditional vibes this Thai New Year, with their fun-filled ‘A Sense of Thai’ festival. 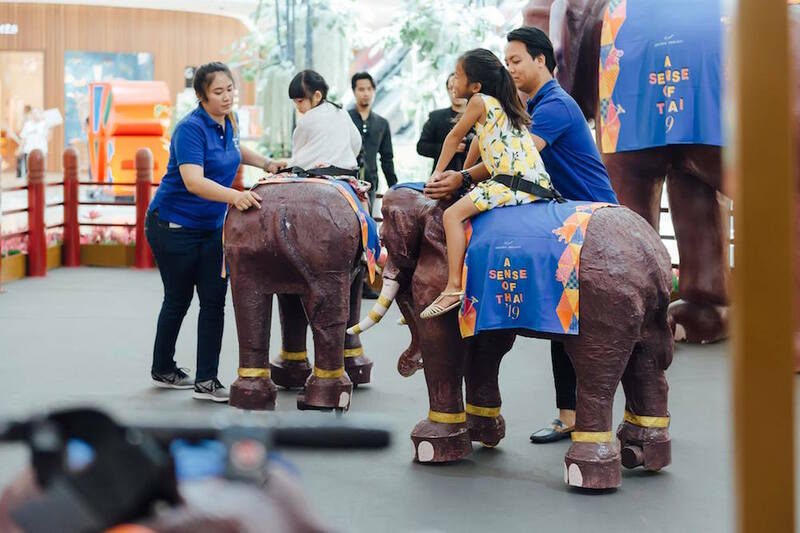 Expect activities that go from dressing up in traditional Thai costumes to elephant rides — and worry not, the elephants are the mechanical kind, and even come with the chance to donate in support of real elephants. You can also learn to weave or make your own herbal inhaler, or visit a market with charming Thai souvenirs. A lantern festival light show takes place every hour, and there will also be Khon and Muay Thai performances that take place throughout the festival. Until April 21, 2019. Central Embassy and Central Chidlom. To find out more, visit FB @centralembassy. 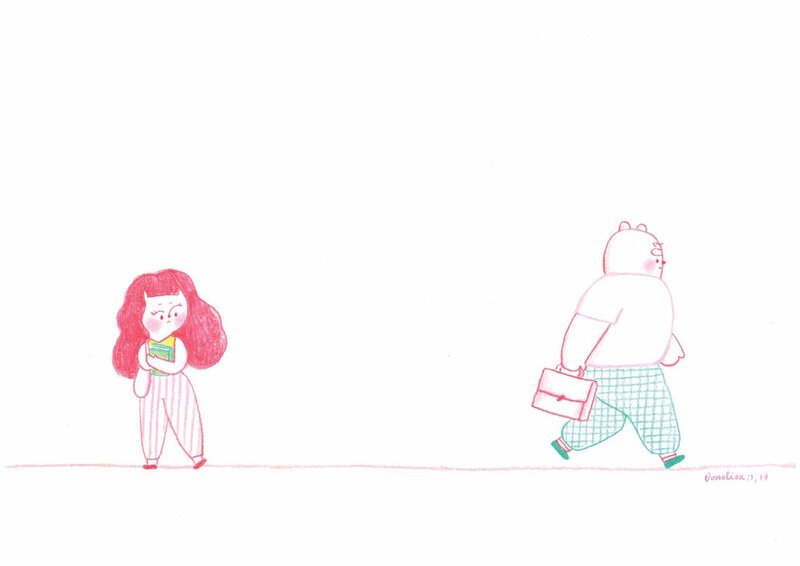 ART & CULTURE — Thai illustration artist Bonalisa Smile draws to light the strong feeling of missing someone through cute, relatable graphics. Simple, photogenic and incredibly empathetic, this is an exhibition the minimal, simply hand-drawn line graphics remind us that art serves to trigger an emotional response, regardless of medium and direction. Until April 24. 10mL Cafe Gallery. To find out more, visit the official Facebook event page. ART & CULTURE — An exhibition by Sandy Chuchat, ‘Let Me Be Your Mirror’ features a series of paintings that revolve around the ‘mirror’ as a shared theme. The exhibition explores the association of reflections in both a traditional and conceptual sense, highlighting the idea that while mirrors can reflect reality, it does not contain the same context or information because it is merely a duplication. Through the exhibition, Sandy looks at how reflections can also be viewed metaphorically, as well as reflect our consciousness. Until April 27, 2019. Ekamian, Sukhumvit 49. To find out more, visit the official Facebook event page. ART & CULTURE — An exhibition by artist Kattliya Phantodee, ‘Life’ showcases several art forms that range from print, to painting, drawing and collages. 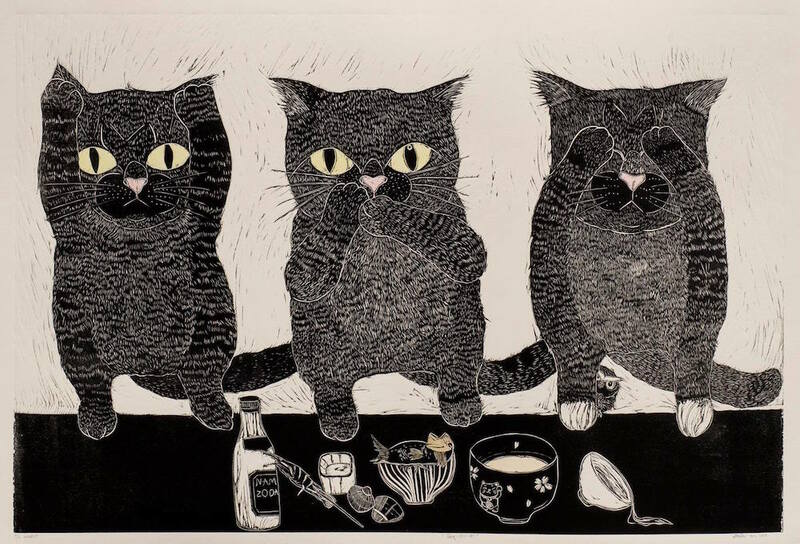 The artwork features cats, along with other animals such as fish and birds, symbolising the artists’ personal lifestyle and feelings, as well as the connection she shares with those around her. Known for her woodcut technique, her artwork showcases beautiful, clear lines and emphasis on features for feelings of simplicity and sincerity. Until May 19, 2019. Ardel Gallery of Modern Art. To find out more, visit FB @ArdelGalleryofModernArt. ART & CULTURE — The ever-popular Art Rotation by 137 Pillars Suites & Residences is back for its third installment! This time, the featured name is Thai National Artist Panya vijinthanasarn, unveiling his new collection of art pieces under the title ‘Resplendency & Obscurity’. The exhibition features mixed media used on paper, focusing on the passing of time and fading of history through slightly desaturated pieces. April 11 – May 24. 137 Pillars Suites & Residences. To find out more, visit the official Facebook event page.